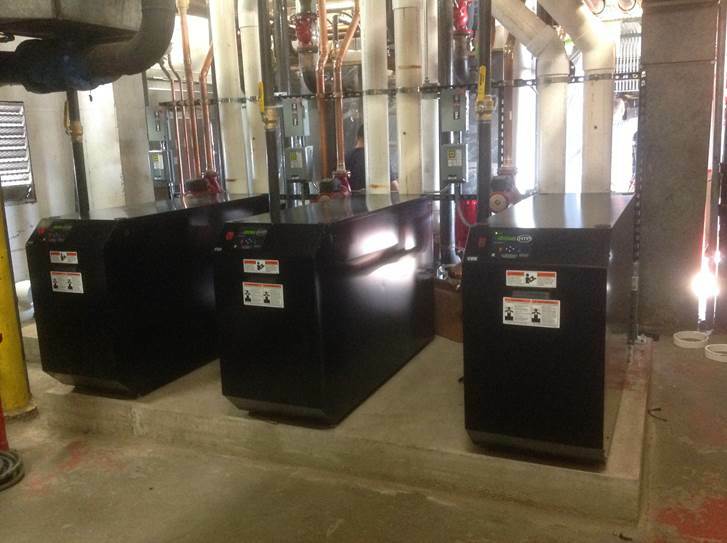 Check out this HTP Mod Con 850 VWH installation by Regan Mechanical, supported by HTP's representative - Hot Water Products, out of Milwaukee, WI. The Mod Con VWH features an intelligent design that delivers domestic hot water at 94% thermal efficiency. The high-grade modulating gas burner operates at a 5 to 1 turndown ratio to meet variable water heating needs. Quality construction, a small footprint, and convenient features make the Mod Con Boiler ideal for most commercial water heating applications.